Realty issue: Hernando De Soto says the matter is being handled in India at the wrong levels of government. It’s not a technocratic issue. It’s a political issue. 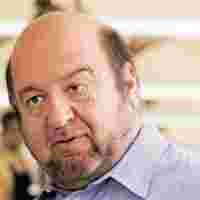 New Delhi: Economist Hernando De Soto has faced death threats and survived assassination attempts from extremist organizations that opposed his movement to offer government guaranteed title over property in Peru. He estimates that the think tank he founded, the Institute of Liberty and Democracy, has received more than 500kg of explosives over time. Eventually, De Soto prevailed in one of the most radical makeovers of a society that brought an informal economy and thereby bulk of the populace within the regulatory fold through the ingenious effort of providing land titles. Ever since, he has been consulting several governments world over to productionize this philosophy and ensure that the growth process becomes more inclusive. You have pioneered the notion of dead capital and how it can be leveraged? Have you revised your estimates because I read somewhere that it was $9.3 trillion (Rs365.5 trillion). And how do you see it playing out in emerging economies such as Brazil, India, Russia and China? The estimate is one based on technologies which we have developed in areas where we have worked, where we have actually only included the buildings that have been obviously created outside the law (in the informal economy). Which isn’t very difficult because we know how to estimate them. And we know with quantity surveying, there is a certain amount of bricks and mortar and there’s a certain amount of iron wherever you go. And therefore to be able to expand to places we have not been, it’s a pretty good estimate of about $10 trillion. That doesn’t account for a lot of things…it doesn’t account for the animals, it doesn’t account for the real market price of the land. Since we don’t know it, we don’t include it. It doesn’t account for business organizations and their machinery because we would have to be in the country to do it. So I would say it is an estimate on the lower side. But that exceeds of course, all foreign aid, all foreign investments and points out quite clearly that the poor have done much more than we think. The poor are doing much more than we think, worldwide. How do you turn this into live capital? Turning anything into live capital means first of all documenting it. Because capital, like energy, exists only as a concept and is captured only by an artefact. It is the surplus value of the things we do but that can only be captured on a piece of paper or a deed. If I ask you at any moment if there is an investment that you want to make or some surplus that you have to finance a future consumption or a future investment, it will be on a piece of paper. You will find it nowhere else. Therefore, if you have a country in which a majority of the people do not have the instruments and the records with which to measure and capture in the symbolic form (such as a written document), that is fungible and authorized (by the government), you have probably got an enormous amount of dead capital. And you can gauge how much it’s working if you are able to analyse how much your government has done in producing the documents required to formalize property. If it hasn’t, there’s a lot of dead stuff around. If it has, then you probably have a lot of live capital that you thought you did. How does this model play out in a country such as India, where the history dates back thousands of years? Well, it’s quite simple. Whether its India or Brazil or China, the possession of things and ideas already exist. If I walked here (outside the hotel), I would hear various dogs barking at me. I’d find out if I stepped on somebody’s land or somebody would tell me to get out. So obviously there’s a part of India that is demarcated legally and there is a part of India that is demarcated illegally. The rights are there. Problem is they are not documented and they are not standardized. How well do titling regimes translate to countries where landed property is not considered as a commodity? We were told in areas such as Peru and El Salvador and Mexico and Egypt where we have worked, that people do not have a tradition of looking at land or animals or tools of production as property, but we found that most of the people in Egyptian jails were in there for illegal property transactions. Maybe India is different...I have no idea. If you go out and do an inventory, what you find out may surprise you. Somebody is taking things that do not belong to them. It may be the case that squatters exchange possessions among themselves. I would suppose that people get credit illegally. My presumption is a few people go out and document those things. The hard part is to create a property system where future transfers go beyond the point of cadastres (an official register of the quantity, value, and ownership of real estate) and tax collection. People have to find a reason for entering a standard system of rule of law. I am not surprised that India continues to try to title, continues to try to build the rule of law but every time they do, one year, two years afterwards, everything slips back, because the system is not sustainable, because it is not yet good enough for people to trust it. What’s the incentive to bring people out of the shadows? First of all, you have to make a system of books that provide a variety of things…Ensure that the enforcement and protection of assets is going to be cheaper and more effective by law than it is by informal means. If I have customary authorities that protected (land ownership) efficiently, and are less corrupt than the state, I will go to them. If the government provides that protection and does it well and distributes justice efficiently, I will have more of a tendency to go to them. If the system of property allows me to use it for a variety of things, if I can transform the property to capital, to credit, to make payments, with government paper that everybody else honours and has a rate of exchange to the dollar or the British pound and can then be rediscounted in other markets so that it gives the security to keep going on, and if all of these exceeds the cost of red tape, then everybody will move to legal. In other words, the law has to do a variety of things to this paper; it cannot be like a typical certificate of possession. It has got to be an instrument that holds value and it has got to be an instrument that forms value and therefore capital. Then people, simple as they are, will say it is better to hold it that way and not the other way. People are very conscious of that, especially in the informal sector. The whole world survives on symbols. If you provide good symbols, they will take it. How do you tell this story to the people living below the poverty line, who have little or no possessions; that if you provide title, you can release a lot of capital? A lot of the people that you say have absolutely nothing must live somewhere…they must have some degree of possession over something. (They) must have the right to follow an activity that has some income. All of these things are starting points. And the history of America and the history of all those places where people emigrate is the history of people who have absolutely nothing other than the shirt on their back. So I would seriously get down and find out if these 300 million Indians (below the poverty line) literally have nothing. Because if they have something, you can build from that using microcredit, using micro business. That’s the way progress is also made. And then I would find out how I would encourage improvement on things and how to give recognition. What all of this means, is that property is not a means for the local registrar. In the US and Europe, the people who began the revolution of property and the market economy, property was in the heads of the head of state. The whole ideas of (Thomas) Jefferson and (George) Washington, was of (creating countries of) property owners, because they were tired of seeing dispossessed people, and they were tired of seeing property only in the hands of a few. And so it wasn’t a titling phenomenon, the way it is in our countries. It was an empowerment movement at the highest political level. In your country, if the titling system won’t work, your prime minister or your head political party will say, what is it that we can technically do, to improve the quality of paper. It’s an issue that is handled at the wrong levels of government. It’s not a technocratic issue. It’s a political issue and you have to take political decisions. You need inventories and diagnoses at a level that your country simply doesn’t have. How did guaranteeing titles in Peru work? How did you sift through all the claims on each piece of property? The first thing you have to do is find out who has to run the reforms to get anything done. If you think a basic reform is a technocratic decision, you are making a wrong move because you are talking about changing laws and adapting constitutions. The first thing you have to choose is who your public is. The second thing is you have to decide how to motivate the decision makers to do it. Why are they going to consider this exciting? Because, the informal sector is a lot bigger than you think. You serve it in such a way that people understand its importance and the returns that we can politically get on it. Because politicians are like any businessman: high returns, they make an investment; low returns, they will not. You have to indicate that there will be a high political return because people are already on the market. They are just not doing it with the appropriate currency. In our case in Peru, I decided to leave business and start this institution (ILD) because we had a terrorist movement called the “Shining Path". When we went (to the land owners), we said, we have received a mandate from the government, fully supported by the military. We are now going to protect your assets in a way that means that not only the Shining Path will recognize it, not only the neighbours will recognize it, but because it is good paper, the whole nation will recognize it. And that’s the way we actually won probably the most successful (anti-) guerilla war that history has known. In 12 years, we liquidated them politically to the point that today, if you say you are the Shining Path, you cannot even be elected dogcatcher. They have been totally delegitimized. So what you have to do is put it high on the agenda. It (property titling) brings many more things that bring peace. It brings capital, it brings growth. If you are able to illustrate it in terms that are Indian, it works. People need to find a local example so they understand it. But if you are able to document your extra-legal sector, document its entrepreneurality, and show how that could be many times better if it takes place within the rule of law, it has got to motivate politicians. You have got to say, if you do this, it will increase your votership by 20-30%. Then you will win. That’s the way politicians think.